"I just finished your new book and I am more than impressed. The "gems" you share continually throughout the book are often very "deep" and require much thought. I think you are better or as good as the current crop of business writers like Marshall Goldsmith, Seth Godin or Simon Sinek. I will now read your book again, take notes and try to better understand your often spiritual approach. The book is terrific and just "keeps on giving" You are an amazing writer and I just never took the time to read before." "Unleashing Genius and Invent Your Future" are the essential handbooks for all leaders, but a critical resource for any startup enterprise. Building, harmony, consensus,and commitment is often neglected but then always deleterious to some degree. 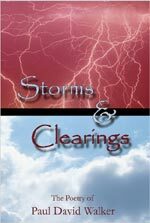 Both provide the comprehensive guidance I find myself compelled to re-visit and always be inspired." — Greg Stewart, CEO of OBIcool, Inc.
"Here you will find a treasure trove of distinctions, tools, and models that will allow you to engage people in a way that naturally harmonizes and enhances working with others—and that in turn advances the mission and purpose of the organization. More than that, you will be introduced to the thinking that guides and directs our most advanced leaders. There are years of learning available in Invent Your Future. Do not be surprised when, in the days and months to come, you find yourself referencing this book. It's that good." "A fantastic roadmap for organizations looking to build teams! This book brings together multiple disciplines for teams to learn how to work together to achieve greatness. From discovering one's self, to building team commitment, to being focused and learning to conceive the future and execute strategies, this book includes all of the elements necessary for any organization to quickly mobilize while enjoying the ride. The combination of Paul David Walker's experience in coaching executive teams worldwide, together with his unique ability to understand and empathize with the human spirit, makes this particular book a must read." "This is a compelling guide to unleashing the leader within. We cannot create what we cannot conceive, and Invent Your Future is a great tool for leaders that seek to conceive continual growth, both personally and professionally." Paul David Walker is exceptionally good at what he does. Invent Your Future takes the leadership principles in his Unleashing Genius: Leading Yourself, Teams and Corporations to a higher and deeper level. A must read!" 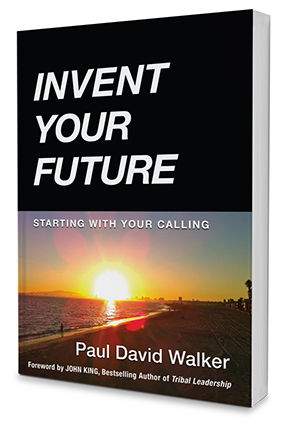 Go to the Invent Your Future Facebook page to share your progress, chat with other leaders inventing their future, and get insights and help from Paul David Walker. Paul David Walker often says, "The job of a poet is to travel into the unknown and come back and make a report." These poems are his reports, both deeply personal and full of mystery. 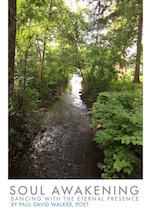 These poems "come to" Paul and are written to create a personal exploration of what is deep in our hearts, yet unknown, or may have been glimpsed and forgotten. Paul makes sense of the relationship between heaven and earth, light and darkness, our fears and connection with the divine. In the author's words, these poems are meant to "leap up out of readers like laser beam lamps reaching into the dark sky." "I’ve been reading Paul’s book and want to thank you so much for such a beautiful gift. His words just flow like water down a stream or the sounds of nature. I like the way he weaves stories into the melody of his words. Tell Paul thanks for putting his thoughts into words with such a musical rhythm, you must have been ‘Touched by an Angel." "The book is a living work in executive therapy and self meditation. The poetry is like an instrument that immediately gives your mind pause to keep prospective. It is like a "time out". Read three or four gems at random, close your eyes and allow your conscious mind to be "brain washed". This book allows you to smell your own roses and multiplies your awareness geometrically. When you read the same passages a second time for content and start to underline, it will allow you to expand page by page and give your own poetry diary inspiration and decision making safety." "In this light-filled book of poems, Paul David Walker invites us to rise up in our lives and connect to our larger calling. He takes our hand and walks us through his own awakenings, opening our eyes along the way." "Mary and I are enjoying reading "It Waits for You" every morning before getting up! Great way to wake up the brain and heart cells. Beautiful, thought-provoking work." "It was great to hear you reading that uplifting poem in your own voice. Maya Angelou said poems should be read by the poet, now I see why." — S.Robert Moradi, M.D. "Your poems express a depth of feeling that enrich me. I am more connected to myself having read and felt them." "It's an inspiration to see how these poems unfold through the years and reflect the mystery we all live." "Your POEM touched and moved me, and beautifully explained my feelings about the experience that I had in Taos. I was really confused, but I am experiencing new patterns about myself that gives me more freedom of being just myself and being aware of my intention. Noticing how connected we all are was enlightening to me. It just feels good." These narratives, poems and pictures are inspired to help discover and manifest our soul's calling and our relationship with "The Eternal Presence," which cradles us all, know it or not. Each is inspired by a sudden insight, or a gradual unfolding of understanding. I share them to provide a glimpse into unfiltered moments, when I was dancing with the heartbeat of life. Try to discover new realities for yourself. As you read, please do not analyze. Travel with them and notice your experience. Let the imagery affect you, and at the end of each, stop and reflect on the images and feelings that rise within you. The purpose of these narratives, poems and pictures is to provide a springboard for you to dive into yourself. They are a point of departure for your journey. Make it an adventure that will change the way you see and deepen the wonder and excitement of your living, and never forget that within you is a unique essence that is a portal to limitless discovery. "Unleashing Genius" takes you into the heart of how you actually unleash the genius that creates successful ideas and frameworks. From Paul's 25 years of experience coaching CEO's and Executive leaders he shares the foundational elements of "The Secret" to unleashing individual genius and team wisdom. Stephen Covey, in an interview with Forbes.com said, "Once you unleash the creative energy inside of people it affects every aspect of their life." Through reading "Unleashing Genius" you will find out how to actually discover and unleash your genius, which will create numerous frameworks and models that may transform your business and your life. The lessons in this book can unleash a natural genius that brings true success without struggle. You will learn how to achieve "Integrative Presence." "Paul David Walker's Unleashing Genius is in itself a work of genius. Whether you are a CEO or senior executive, an entrepreneur or professional this book can enable you to maximize your success. Unleashing Genius is designed to help you rapidly achieve your goals, while drawing upon innate abilities that have not yet been fully utilized." —Mark Funk, Chief Financial Officer, Sylmark Inc.
"Reading Unleashing Genius is like sitting around a campfire with an elder full of inspiration and wisdom. Paul is able to translate deep wisdom in a way that will inspire people in all walks of life to discover their genius. Once found, Paul helps the reader integrate that genius into their life and work. It is a must read for leaders and those who want to become leaders. Paul teaches you how to truly become a leader for life!" and Author of Leadership from the Inside Out. "Paul David Walker clearly lives up to the title of his powerful book UNLEASHING GENIUS as he unleashes his own genius page by page within it. As someone who reads a lot of books, I am compelled to share that Paul has authored an extremely powerful resource for leadership and life that is simply a MUST READ. While a lot of books have been written on the subject of genius, what this book brings to the table is a clear understanding of the UNLEASHING of it. Additionally, Paul shares through his own case studies what occurs next when unleashed genius is applied. UNLEASHING GENIUS is a resource, hard to set down and compelling to go back to again and again." 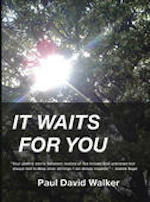 "This book reads as if Paul David Walker is the Eckhart Tolle of the business world. I could not put this book down and by the end I was propelled to not only change some of my business habits but life habits as well. 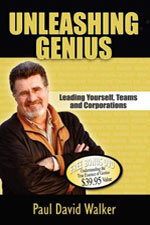 A MUST READ if you want to find your Genius in ALL aspects of your life." —Lisa Garvey, The Studio Event. The stream of poetry in this special book flows back over four decades of Paul's life journey. These beautiful and timeless poems reflect his uncanny ability to see the beauty in everyone and everything, as well as the deeply felt concern for the human condition. His words will at times strike a gentle cord, and at other times strike like lightning. The insights he has gained through the medium of poetry have not only guided him through his own life, they have been of tremendous value in his work as an Executive Coach to CEO's of Fortune 500 companies. Through Paul's exquisite expression of the wisdom that dwells within us all, you will truly see the poet's heart. Open your heart and mind and let his poetry take you on a thoughtful and exciting spiritual adventure. In his book, "A New Earth," Eckhart Tolle says, "When consciousness becomes the manifested universe, it appears to be subject to time and to undergo an evolutionary process. No human mind is capable of comprehending fully the reason for this process. But we can glimpse it within ourselves and become a conscious participant in it." In this beautiful collection of poems, Paul takes us on a journey of his "glimpses" into the creative intelligence behind the universe through his own eyes and heart. He captures with deep simplicity our experience as human beings on this planet as we seek to transcend our self, and collective, limitations. It has been said that awareness comes in the gaps between the thoughts of our way-too-busy minds. Paul inspires us and encourages us to pay attention to the glimpses found in those gaps. Enjoy the journey!